ENRACIN is a polypeptide antibiotic obtained by the incubation of streptomyces fungicidicus. for physicochemical prpoperties, ENRACIN technical occurs as a gray-brown micro granules or particles and slightly has a characteristic oder. It is freely soluable in dilute hydrochloric acid and in dimethylformamide, slightly soluble in water and in methanol and very slightly soluable in acetone, in chloroform and in benzene. 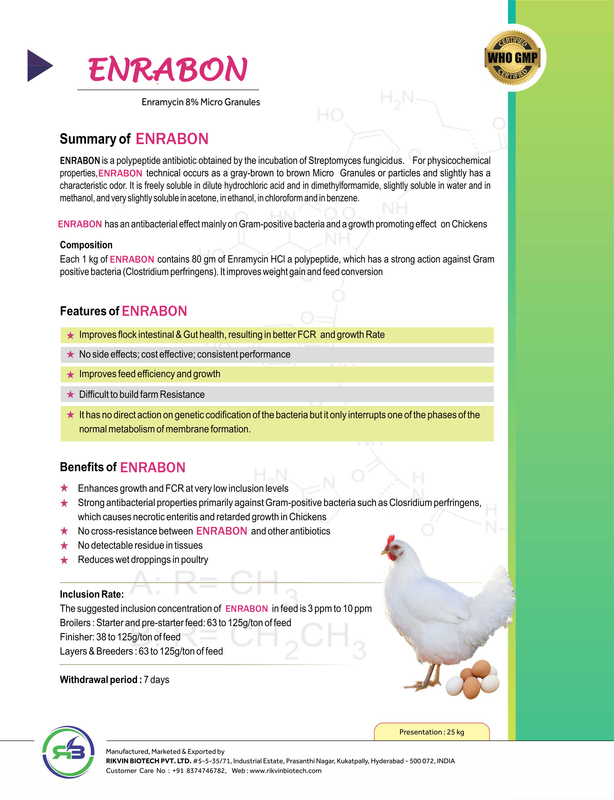 ENRACIN has an antibacterial effect mainly on gram-positive bacteria and growth promoting effect on chickens. Each 1 kg of ENRACIN contains 80 gm of enramycin HCI a polypeptide, which has a strong action against gram positive bacteria(clostridium perfringens). it improves weight gain and feed conversion. Improves flock intestinal & gut health, resulting in better FCR and growth rate. 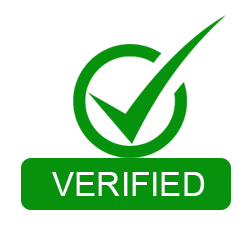 No side effects, cost effective, consistent performance. Difficult to built farm Resistance. improve food efficency and growth. strong antibacterial properties primarily against gram-positive bacterial such as closridum permingens, which causes necrotic enteritis and retarded growth in chickens. No cross- resistance between ENRACIN and other antibiotics. The suggested inclusion concentration of ENRACIN in feed is 3ppm to 10ppm. Starter and pre-starter feed:63 to 125g/ton of feed. 38 to 125g/ton of feed. 63 to 125g/ton of feed.